To impact God’s Kingdom by introducing the world to Jesus Christ and helping to make His disciples. To GLORIFY God as a family of believers who GATHER and GROW in Christ through the Holy Spirit, and GO out into our community and the world to serve and share the good news of Jesus Christ. God placed on the hearts of David Jones and The Village Church of Barrington to plant a church in 2010 and people began to pray. The elders of The Village Church met on the east side of Algonquin to pray over potential sites to plant a new church. Max Kittle was speaking with someone at a wedding about the church and Joan Tierney, an employee at Eastview Elementary, overheard their conversation and suggested that the church become a community partner. A few people met with Jim Zursin, the principal of Eastview, and he decided to trust this new church with providing food for his next event. The problem was that we didn’t have a launch team or even a name for the church yet. However, that didn’t stop God from building our first relationship. Dear friends joined us and we began to serve, partnering with Eastview in many events over the next 18 months. We asked Jim Zursin if we could use Eastview’s facility for a sports camp. We told him of our intention to talk about the good news of Jesus Christ at this event. Jim invited the students at Eastview to come and he let us use the facility for free. We were overjoyed that 53 kids came to our first church event. 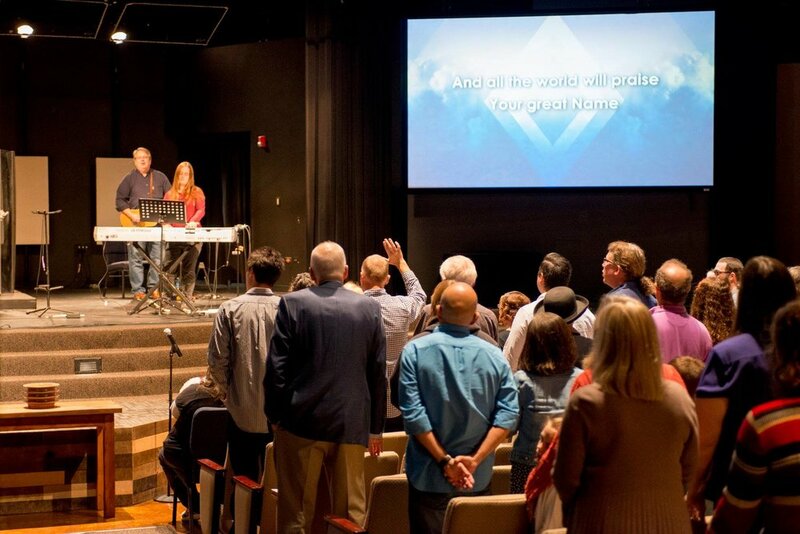 In August of 2014, our launch team was commissioned at The Village Church of Barrington. We were preparing to launch on Sunday, September 7, and felt the prayers, love, and support of The Village Church, Hope Community, Living Grace, Crystal Lake Free, and The Orchard. On September 7, 2014, 193 people came to Algonquin Middle School to attend our first service and The Bridge Church was born. It was strange to be a part of a church that was new—there was no history, no established culture, and no one to answer how we would be a church. God would help us discover many answers over the next few months. A few weeks after our first service, we held our first Autumn Fest. Nearly 100 people showed up to our office to eat, have their faces painted, bob for apples, and decorate pumpkins. For many of us, that was the day we became a family. Our first Thanksgiving service was another significant event. In the AMS gymnasium, we set up the chairs in a circle around the communion table and heard each other’s testimonies. We were called to be a Christ-centered church, a church of co-ministers, and a safe place for people to come as they are and find hope in Christ. God added local partnerships for The Bridge with Refuge for Women, Algonquin Middle School, and the Algonquin Rotary. Global partnerships would begin to flourish in Bluefields, Nicaragua, Costa Rica, and Mexico City. From the outset of The Bridge, God moved people in our church family to begin giving to a building fund—even before any such fund existed. Prayerfully, we sought God’s will about purchasing land. We considered how many churches are built without thinking enough beyond the present. Looking toward the future of The Bridge, we began prayerfully considering larger parcels of land in Algonquin. The elders first thought of building a community center because we hoped to continue our good relationship with our neighbors, even if we moved. Believing God would provide the people and money for what He wants us to do and when He wants us to do it, we resolved to try to make decisions for the church that would be relevant in keeping with our mission for future generations. In February 2017, God miraculously made 46 acres in Barrington Hills available for the church to purchase. Further investigation left this door all but closed because of zoning issues and covenants attached to the purchase of this property. We prayed, and God worked miraculously. God raised up a unique and gifted team of professionals from both inside and outside our community who began to work with Barrington Hills to get zoning amended and covenants removed. Skip Gianopulos, Rodney Piercey, Jerry Davenport, Tim Beechick, Scott Berge, and Kathy Houde worked with Barrington Hills Zoning Commission to accomplish a miraculous outcome. Todd Carlson drew the plans required for a special use permit. In the summer of 2018, with our special use permit approved and the covenants removed, we prepared for closing on the property that God miraculously provided for us. God also provided an anonymous benefactor to loan us money at a reduced interest rate. Our future seemed certain. Ron and Kelly Pratscher were visiting The Bridge mid-summer 2018 when Ron mentioned to a couple of elders that The Chapel might be interested in renting their building in Barrington Hills to The Bridge. Later that same week, our contract with the school district seemed to be less secure for the first time in four years. The church began to pray, and God moved our community with remarkable unity and great joy to a new home in Barrington Hills. Through this, we saw that God provided a place for us before we knew we needed one. In just eight weeks, God took us from feeling secure and content at AMS to a unanimous vote to move. 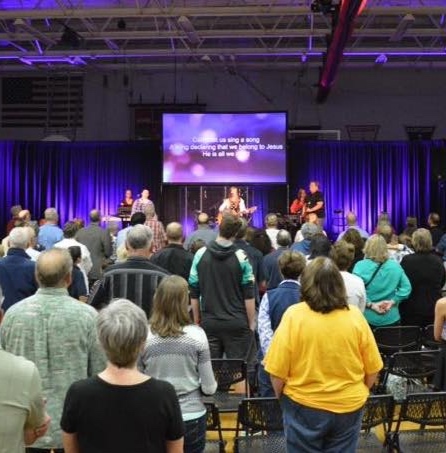 We had our first service at the new building on September 29. God added great new partnerships with this move. H.B. Brewer and The Chapel have modeled for us what it means to be co-ministers in the gospel. It has been a blessing to share the building with Opus Montessori, existing Bible studies, and a Saturday morning food pantry. God has moved in The Bridge in ways that we never imagined. The people are the church and all the glory is given to God for all the good that we have experienced thus far. A building team is now working on hiring an architect and hope to have plans and estimates on building and land development costs sometime in 2019. The elders have developed a debt policy that is available upon request at the welcome center. A fundraising policy is also being developed that will guide us through the next years as we seek God together about what and when we should build. As we look to the future together, may we never forget that God has been leading us these first few years and God will continue to lead us if we continue to seek His face together in prayer. We want to go wherever God leads us. We want the miracle!